A new trend is on the rise of people traveling abroad for dental care. For some, long distance treatment is an attempt to save money, while for others, it may be because of limited access to care in their geographic area. Is this the best idea, though? Is it more of an inconvenience than it’s worth? Your cosmetic dentist in Ft. Collins weighs in to answer those questions and discuss some of the challenges of this type of care as you read on. Why Do People Travel for Dental Care? As mentioned above, people consider travel care to save money and because of limited access in their area, but there are other reasons as well. For others, it’s because they’re looking to work with a professional who’s experienced in the type of dentistry they need, and they feel that any inconveniences associated with traveling are voided by the results they hope to get. One of the most challenging aspects of satellite care is the act of traveling itself. For starters, when you’re constantly on the move, it makes it harder to get the type of rest and recovery needed after a procedure is done. If you’re not able to position yourself as your dentist has instructed you to facilitate healing, then you’ll be more susceptible to complications. Another common trait of traveling is that it can contribute to inflammation. That’s because it leaves you in one position for a prolonged period of time, may involve a change in altitudes and can limit your blood circulation. All of these factors can have an impact on your ability to recover properly. 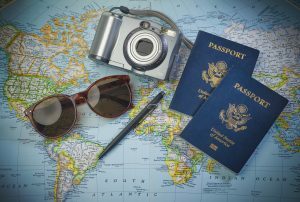 International travelers should also keep in mind the strict requirements put in place in the continental U.S., which includes state boards that oversee dental providers. This ensures that a certain level of quality is met, which protects you as the patient. Additionally, U.S. dentists are required to participate in a minimum amount of ongoing training to keep them abreast of the latest changes in the field. These standards aren’t always required to be met in other countries, and if they are, the monitoring process may not be as active as in the U.S.
Whatever your dental needs are, there is a competent and experienced dentist nearby. There’s no need to travel afar and place yourself in a difficult situation when the process could be so much easier. The best place to start is by reaching out to your dentist in Ft. Collins to schedule an appointment so that you can discuss your dental needs. He or she will be able to help you achieve all of your goals in a safe, convenient and effective manner! As the valedictorian of her graduating class at the University of Colorado Health Sciences Center School of Dentistry, Dr. Shiloh Lindsey has carried the same zeal for excellence into her private practice, providing patients with the absolute best in care. Whatever your dental needs are, they can be met at Aspen Dental Care, and Dr. Lindsey can be reached for more information through her website.